I had a wonderful time working on this project! 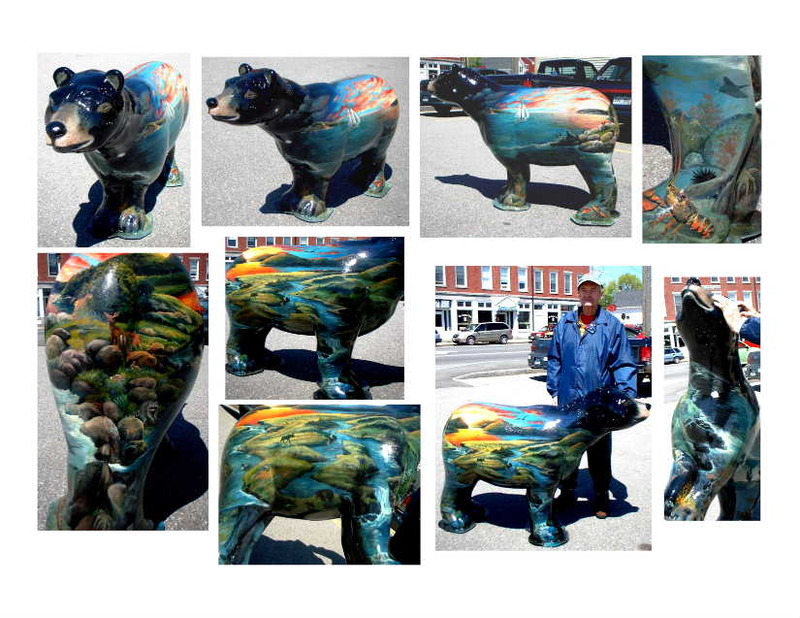 My Bear "Bearing Maine" spent the summer of 2002 on the waterfront meeting and greeting visitors on the Town Wharf, usually covered with kids - and always smiling. When it came time for "THE GREAT BEAR AUCTION" in October, he and the other bears all found homes and their "adoption fees" went to support a variety of local charities. If you'd like to learn more about the years of the Belfast Bearfest; the Bears, the artists who've participated, and the businesses that have sponsored it, Please use the link below - it will open a new browser window that will take you to the Bearfest website.